SIGNED COPY! sleeve has some standard shelf wear. media looks unplayed. BOX IS NEW & SEALED! 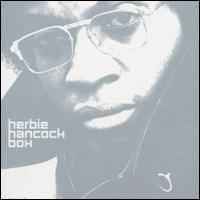 the booklet hand signed herbie hancock! Long box version - All CD's, box and booklet in NM condition, lovely copy! BRAND NEW AND SEALED LUCITE ACRYLIC CUBE BOX SET VERSION! VERY LIMITED INITIAL PRESS! VERY RARE TO FIND ESPECIALLY IN THIS PERFECT CONDITION! GET THIS NOW!